How to sync folders over network in Windows 7/8/10? The AOMEI File Sync could be very easy and simple. It only takes a few steps to sync files over network automatically. Why do you need to sync folders? When you have to work on different PCs, you may want to share files/folders between the two computers. Actually, there are many ways for you to bring the folders from one to another, for example, use the copy and paste function. But it is very annoying that once the data changed on one computer, you have to change the data on the other computer so that they could stay the same. While file/folder sync can solve the problem like that. If you synchronized the file/folder before, then, when you change the data on the local space, no matter add or delete, the data on another computer will be changed too. To synchronize folders over network would be a great progress. 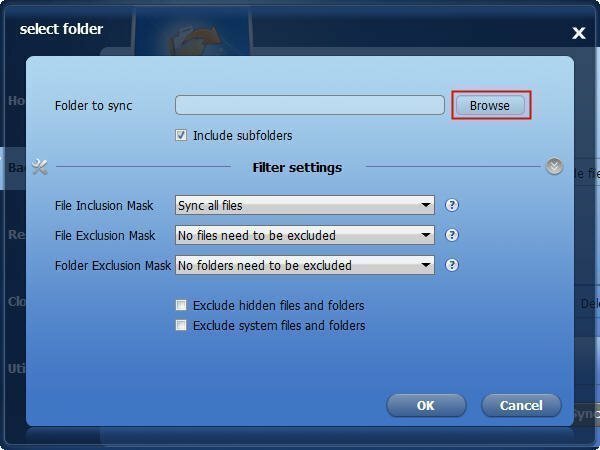 Sync folder over network can make a shared folder through the network, and all the people can read and write to that folder by getting the permission. Well then, how to sync folder over network? There are many software for Windows operating system syncing folders over network. Here we highly recommend you AOMEI File Sync, one of the functions of AOMEI Backupper. It has many advantages. 1. It supports sync file/folder over network. AOMEI File Sync can not only support sync files/folders to local disk or sync file/folder to USB flash drive or other removable devices, but also can support synchronize to network. 3. It supports schedule sync. 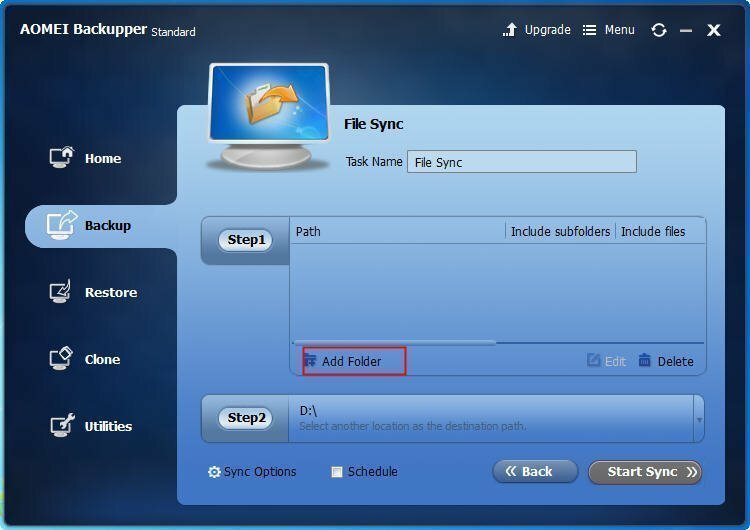 With the help of schedule sync, you can setup an automatically sync file/folder, which will save a big trouble. 4. It supports almost all the Windows PC operating system including Windows 10/8/8.1/7/XP/Vista. 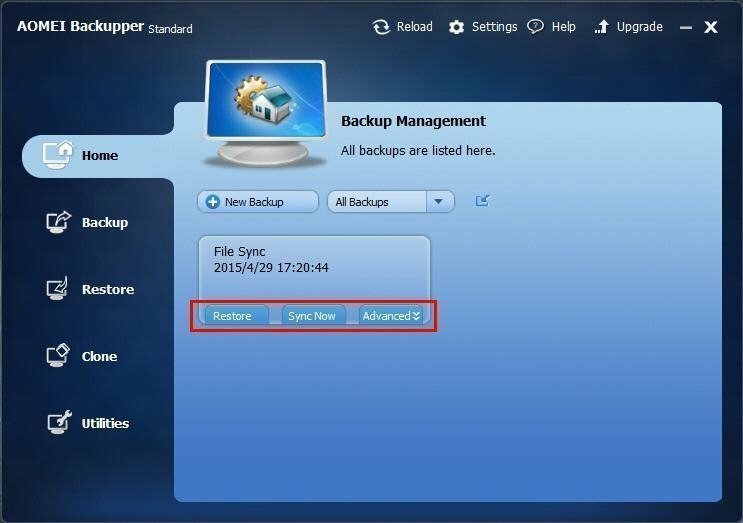 To sync folders over network with AOMEI Backupper, here are the specific steps you can follow. Step1. Download AOMEI Backupper Standard. Click Backup and slide the bar to select File Sync. Step2. Here you can set up the sync requirements. Click Add Folder and click Browse to add the folders you want to sync. You can set up an automatically sync files with a certain file extension at the Filter settings. Step3. Click step2 to select the place to store the sync files. 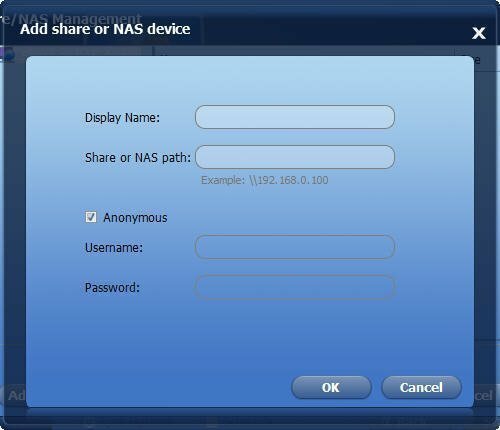 You can choose the Share/NAS to sync folders over network. Type all the information and click OK.
Click Start Sync to launch the progress. If you want to set up an automatic sync folder, you can click the Schedule before clicking Start Sync. It will show you the window that you can set up an automatically sync file in daily, weekly, monthly or when special event triggers. If you want to manage the sync folder, you can go back to the Home tab. Restore can restore all files in the target folder to the source folder. Sync Now is used on task that isn’t applied with schedule sync. It equals to manual sync. Advanced has many other functions. Such as Open Sync, Delete Sync, etc.